Just like people, in time, our style matures and blossoms. Anyone who loves fashion was once dressed by their parents or guardians at a very young age, but as we begin to choose for ourselves, we being to develop a form of expression unlike no other. 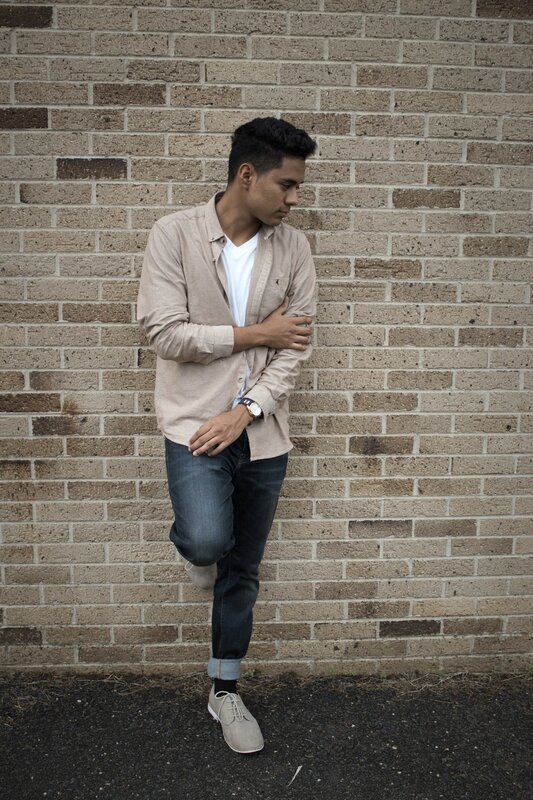 Today's featured fall fashion individual is Josue. Growing up, he didn't know too much about style, but luckily, he had two sisters that always gave him fashion tips and advice. While our own style takes time to develop, sometimes a little bit of outside input can also go a long way to improving it. 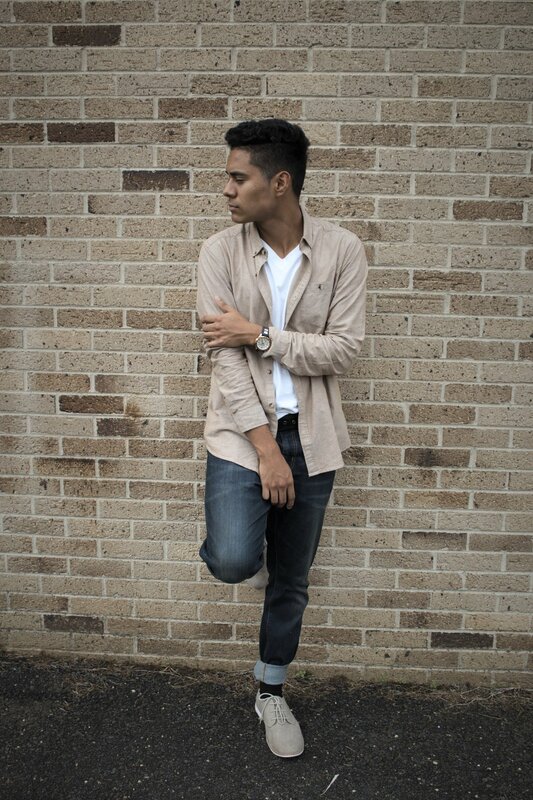 Looking at Josue, his style is definitely the one to take inspiration from. Around the age of 13, Josue took up boxing. 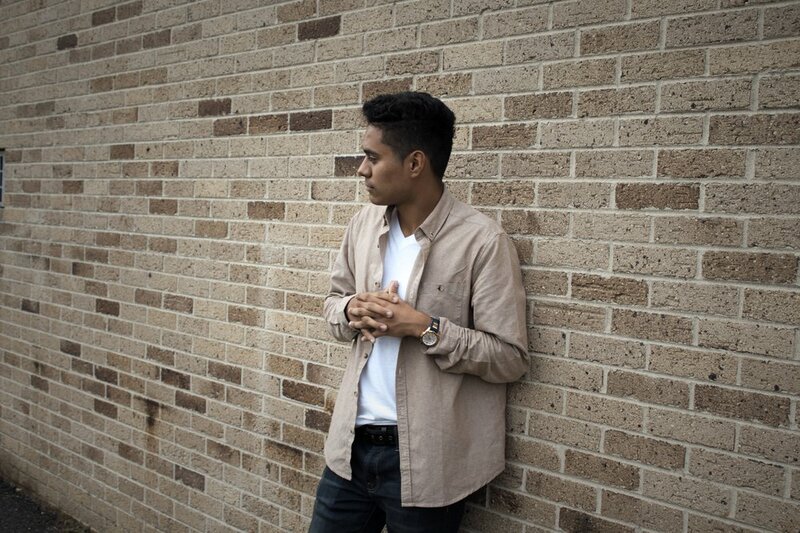 His coach, who would also become a great mentor and friend, always told Josue to wear your best outfit and put your best foot forward with fashion. 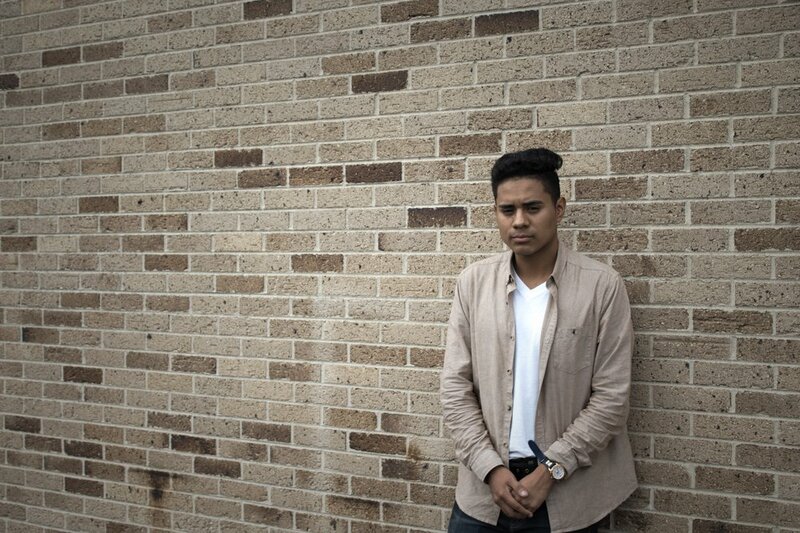 When Josue was faced with negativity in life and was feeling low, his coach could tell. While running a few miles during boxing practice, Josue was falling behind the pack, which never happens with him. His coach, who trailed the pack with his car, pulled over near him and gave him a towel. He told Josue that the first thing he had to do in improving his mindset was to take away all the negative thoughts and just keep moving forward. Just like running, you just have to keep moving forward. Josue's coach told him about the struggles of people like Sylvester Stallone, Manny Pacquiao, Muhammad Ali, and Arnold Schwarzenegger. Even those at the top had to struggle at some point or another. However, its the strength we get from these situations that truly makes us who we are. In the words of Rocky Balboa, "Nobody is gonna hit as hard as life." Josue is know for his fly street fashion, but today, he's put on an outfit that's a mix of the street but also intertwines a level of maturity as well. He mentions that he's always wearing Jordan's, chinos, t-shirts, and hats, but today is a change up from his usual style. It's a great thing to have multiple styles that we can rock in order to introduce a variety of clothing into our wardrobe. 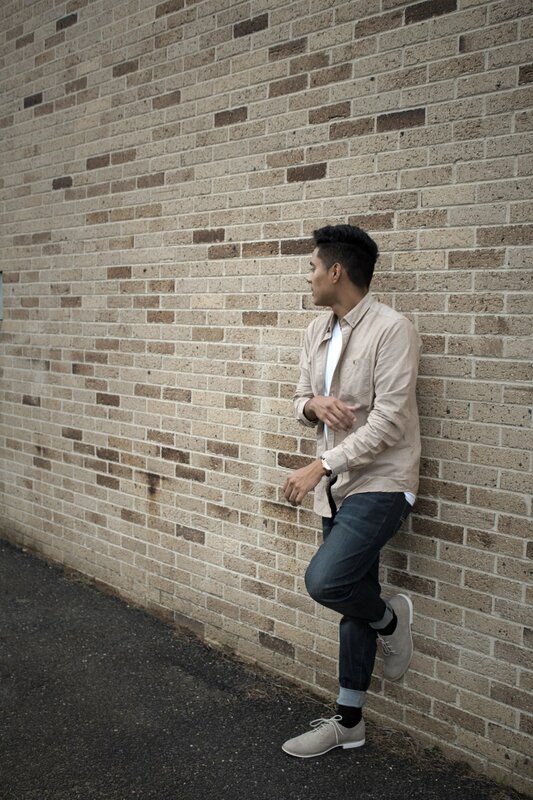 His outfit begins with a charming, beige button-up shirt, a great fall fashion color for both men and women. To match the color, he's got on some classy, lace-up derby shoes. 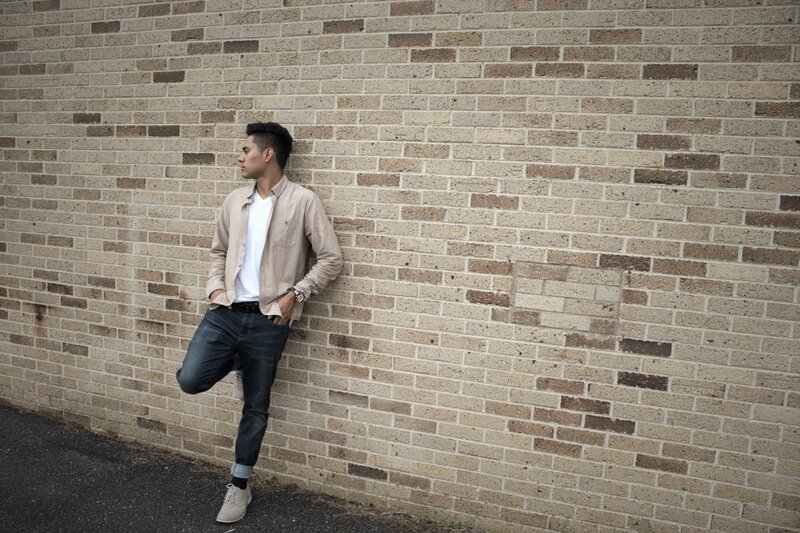 Josue's also wearing some classic men's denim pants and a simple men's white v-nick. On his wrist is a blue and gold watch from Guess that he received as a gift from his father. 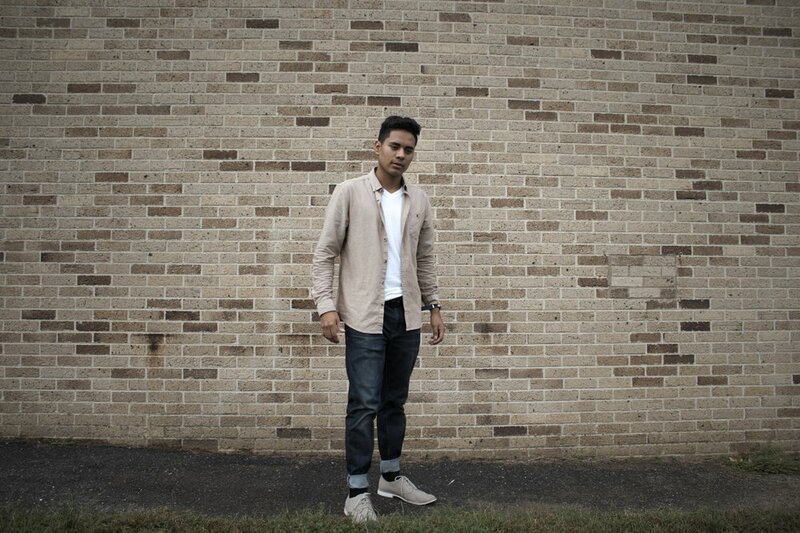 All together, Josue has put together an outstanding beige outfit which makes for some awesome fashion inspiration.